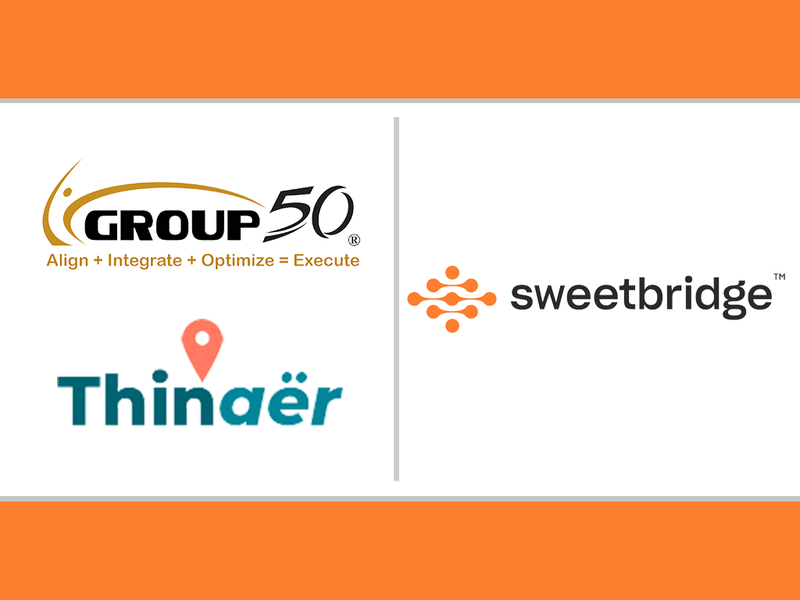 (Upland, California, and Phoenix, Arizona | August 16, 2018): Group50, in conjunction with Thinaër and the Sweetbridge Alliance Network today announced the formation of a Supply Chain Optimization Working Group for the Middle Market. 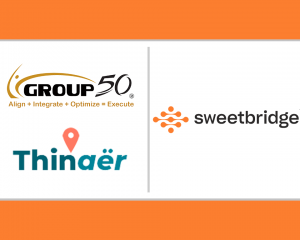 The group will explore combined use cases of solutions including Group50’s Scioebc™ platform to enable smart supply chain solutions with data that is secure, immutable and traceable, IoT protocols from Thinaër for secure tracking and location data input, and the Sweetbridge economic platform designed to free up value locked in assets, commerce and supply chains which comprise nearly two-thirds of the global economy. According to a 2017 survey of 400 C-Level executives by the National Center for the Middle Market, middle market companies (with annual revenue between US $50 million and $2 billion) stand to benefit substantially from more collaborative relationships with customers and suppliers. Integrating the solutions and service offerings of the new working group will offer mid-sized businesses innovative supply chain solutions that level the playing field through easier implementation for faster time-to-value. The companies have agreed to work together to explore mid-market supply chain use cases, continue to discover and integrate new technology, and build best practices and standards for delivering distributed blockchain platforms that can securely meet the needs of middle-sized companies to improve supply chain transparency, unleash the value within assets in the supply chain, and improve order-to-cash performance with less risk. Watch / listen / read the interview here. 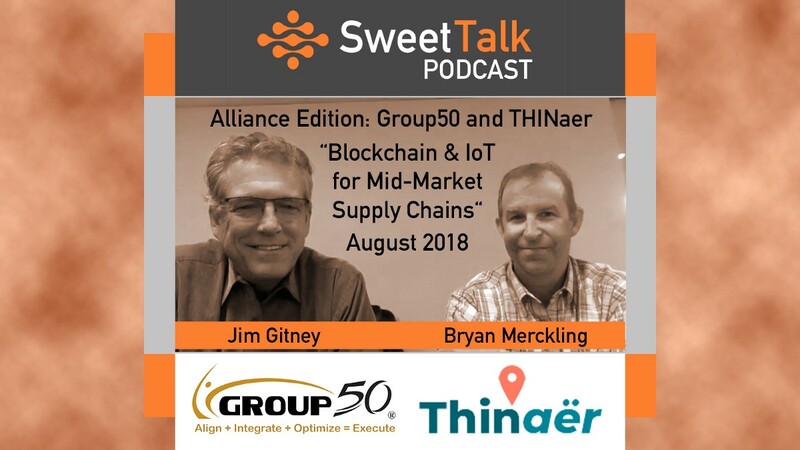 Group50 and Thinaër CEOs Gitney and Merckling were recently interviewed on the SweetTalk Alliance podcast, where they talked about blockchain, IoT and the needs of the middle-market supply chain, which can be heard or read here: https://blog.sweetbridge.com/sweettalk-group50-thina%C3%ABr-blockchain-iot-for-supply-chain-ad9308aba8a7. Inquiries can be directed to Group50 at blockchain@group50.com, by calling (909) 949-9083 or by requesting more information here. Group50 has formed a Blockchain and IoT Business Applications on LinkedIn which you can join at: https://www.linkedin.com/groups/13607958/. Sweetbridge is a new economy built for commerce that enhances the world’s current economies. Sweetbridge and its alliance partners offer a unique set of blockchain protocols, applications and crypto-economics to create an economy of opportunity for all participants. The goal of Sweetbridge is to transform brittle, industrial-era commerce through decentralized industry ecosystems that create a faster, fairer value exchange, unleash working capital, better utilize resources, and optimize talent for the benefit of all participants. For more information, follow Sweetbridge on Twitter @sweetbridgeinc or visit https://sweetbridge.com.